While driving back at forth to the hospital, the Pres and I passed this church. 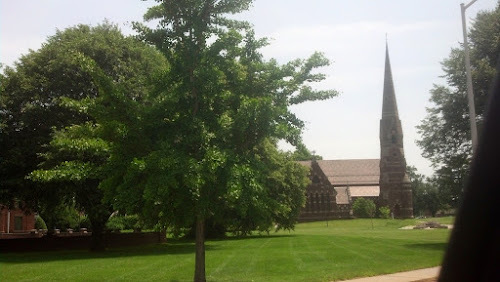 Located in Hartford, the Church of the Good Shepherd seemed to give me comfort each time we passed. it's a very pretty church. Looks old too.